This article was written by BJJ Brown Belt Samuel Spiegelman, who owns and runs Applied Strength and Conditioning Chicago. He has also written a number of articles for BreakingMuscle and holds a bachelor degree in Exercise Science. Today he’s going to help you build godlike grips. The best Brazilian jiu jitsu competitors are often the ones who control the grips during a match. They can get a good grip and maintain it when they have to. They can also break their opponents grips to prevent them from attacking. When it comes down to it the competitor who can control the grip game is going to end up with their hand raised at the end of a match. For those new to Brazilian jiu jitsu the most important thing to understand is what grips are good for you and what grips are good for your opponent. That can only be done on the mat. Supplemental grip training does not replace time spent on the mat trying to learn the grip game. Supplemental grip training is designed to make you stronger and durable while fighting for grips. When you combine technique and grips the result is a grip that your opponent must respect. Grip strength can be divided into three categories. Crushing, pinching, and holding/hanging. All three are important for Brazilian jiu jitsu. Crushing is the grip between the fingers and palm such as shaking hands or crushing a can, this can be improved with a variety of grip trainers. A Pinch grip is a grip between fingers and thumb like pinching someone. Finally holding/hanging grip is the ability to hold on to something or hang from something like a pull-up bar. Different games will require different grip strength. There will also be a difference in the grips used in no gi and gi Brazilian jiu jitsu. While each individual may favor a particle grip more than others at some point during training or in a competition grips other than your favorite are going to be used. As a result a Brazilian jiu jitsu athlete needs to develop grip strength in multiple positions. Gripping power comes from the flexion of the fingers joints or bring the fingers closer to the palms. Factors that can increase or decrease grip strength are hand dominance, fatigue, age, nutrition, and mobility. Some strength coaches believe that the first signs of overtraining can be felt in the grip. If you are experiencing fatigue in your grip that is a good sign that you may want to take the day off or reduce your training volume. Grip training for Brazilian jiu jitsu does not have to be complicated. There are three principles to follow when it comes to grip training. First grip training for Brazilian jiu jitsu must mimic the types of grips used in Brazilian jiu jitsu. Second it must not get get in the way of time spent on the mat, and finally grip training needs to be done at an intensity level that does not leave the athlete too fatigued for training. To add Brazilian jiu jitsu specific grip training you will need nothing more than a towel, gi, or your bjj belt. Pick one or more of the exercises below to include in your program. Chin-ups are great and often overlooked. Most people focus on the pull up. Both are great exercises but the chin up is closer to the traditional four fingers in grip used for chokes in the gi. The chin up can be broken down into four levels of difficulty. Level 4 – Place a towel or gi around the bar and try to do some chin ups using different gi grips. Deadlifts are simply one of the best exercises for overall strength development. Use as many different grips changing grips every week or so. Double overhand grip and adding fat grips to the bar are a great option. If you have access to different types of bars change the bar as well. Trap bars and fat bars are good choices. Take a kettlebell and loop your bjj gi or towel through the handles and grip both sides with one hand. Walk in a controlled manner while holding the gi or towel at your side like a suitcase. These walks can be done unilateral or lateral. Pick a weight where 20 to 30 steps is difficult. Using one kettlebell start with one kettlebell swing on your right side. At the top of the movement let go and try to catch the kettlebell with your left hand. Repeat for repetitions or time. Another option is to swing the kettlebell with two arms let go, catch it and repeat. Do not make a special trip to the gym just for grip training. You are much better off using that time for Brazilian jiu jitsu training. Instead train and then do some extra grip training after class. Grab a partner and do some partner pull-ups. Have your partner stand over you while you are laying on the ground. Grab his or hers lapels and pull yourself up. Another option is to find a partner and do a few rounds of grip fighting. Grip training needs to be done with the goal in mind of training Brazilian jiu jitsu, not to get better at grip training. The goal is to do enough but not too much. Hit a few sets of one or two exercises for your grips and save the rest for training. An athlete taking time off from training can do more, however the average athlete training 3 days a week does not need any more than two days a week of grip training. Grip training is important for the Brazilian jiu jitsu athlete. Developing a strong grip is more than working the isolation exercises that involve flexion and extension of the forearm. 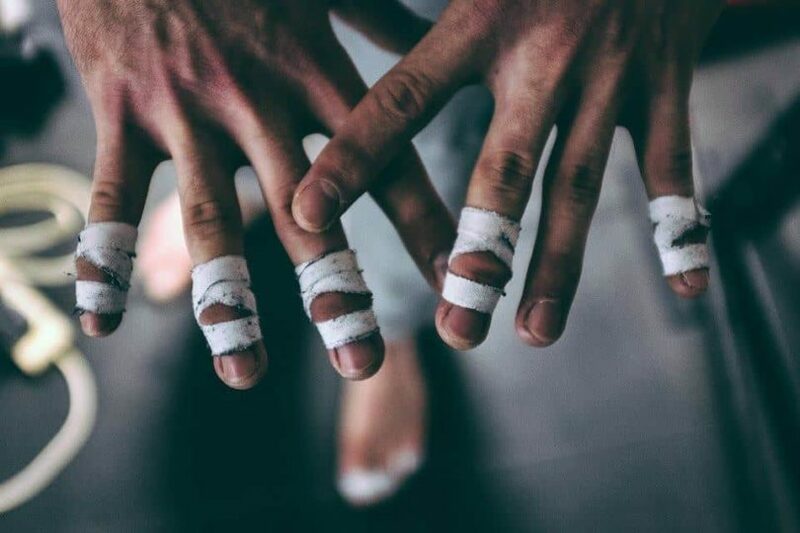 Grip training needs to match the types of grips used in Brazilian jiu jitsu done with an intensity level that does not get in the way of time spent on the mat. You can get in touch with Sam via Facebook or you can Email him.